This is the new Nissan Note, due to arrive in the UK in 2013. Nissan chiefs are quick to point out that the car shown here is the Japanese market version, and that the car offered to European buyers next year will have design tweaks inside and out, and a different dynamic set-up. 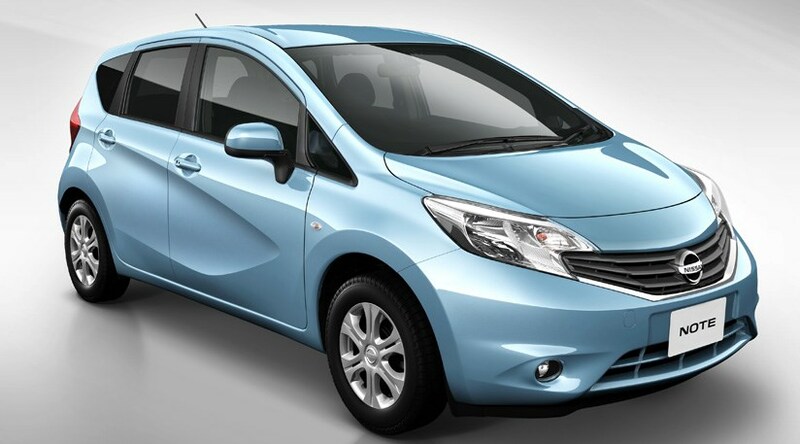 What do we know about the 2013 Nissan Note? Perhaps the most striking feature is the 'squash line' down the flanks, which adds 'striking character' to the Note's body, reckons Nissan. The current Note's main visual trinket is those rear light clusters which wrap around onto the roof, but the new car's focal point is clearly the crease in the doors. It's the latest in quite a series of cars to express design flair with some heavy-handed flourishes on the flanks - the new Mercedes A-class, Seat Leon, and Renault Clio, for example. Aside from the squash line, the new Note is said to be lighter, more aerodynamic, and therefore more efficient than the current car. What will change on the Euro-spec Nissan Note? Nissan has confirmed the European version of the new Note will be gain unique styling details, and a bespoke dynamic set-up tailored for European customers. Whether that'll be based around the smooth asphalt of continental Europe or the pot-holed and scarred tarmac of the UK remains to be seen. Nissan's three-cylinder supercharged engine will be a popular offering in the Note, thanks to its claimed economy of around 69mpg (when powering the similarly sized Micra supermini). and power output of 97bhp and 105lb ft.
What doesn't change, as in the current car, is a focus on maximum interior space and flexibility: this has been a hit with customers so far, with the Note selling in excess of 940,000 units since its 2005 launch. Nissan's Sunderland plant will manufacture European Notes from 2013, while the Japanese market gets the car from autumn 2012.